iWindsurf Community :: View topic - Swap meets rule! Posted: Fri Jul 06, 2018 12:56 am Post subject: Swap meets rule! 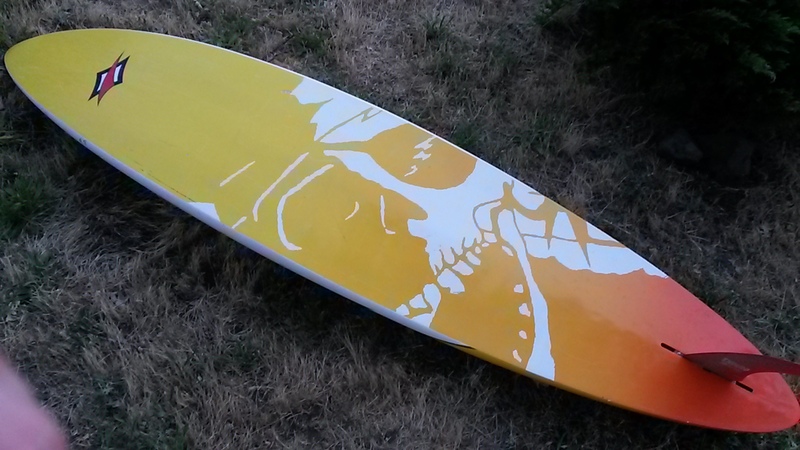 I got a killer board at the swap. Already tested it out on a huge day, 7/2 Rowena to Doug's and back with a 9.25" enduro fin. The wind graph does NOT do justice to the solidity of the wind that afternoon; solid 3.2m for me, and the swells were big and exciting/scary. 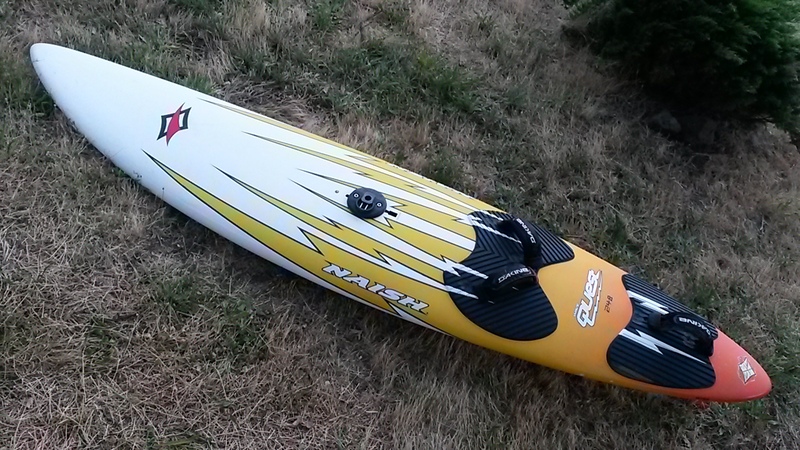 A 2003 Naish 248cm Quest wave board with 9.25" enduro fin. Some nicks in the paint. I got the board from CGWA, and there were many other boards available. What a great time to try some new gear! Try a swap meet! Too much fun. Isn't it fantastic to find a great board that pays for itself on its first windy day?!! That's mighty hard to do at $2,000 ... or $1,000 ... or even $100 ... often including a good bag, fin, footstraps, and//or two-bolt mast base plate. Yet I know MANY locals who refuse to even visit swap meets, for reasons I can't understand. To top it off, the money goes to the CGWA and its many public causes. Agreed on all points, Iso. It is very tough to go wrong at a swap meet. So much FUN to try a new board! Now, if we can just get some more folks (including industry "all stars"...come ON, PEOPLE! Serious kudos to Mike from Chinook, by the way, for "showing up" in so many ways.) to show up at the Pray for Wind parties. It could be inspirational to see some classic BIG Gorge faces (no disrespect to Bart's big face) in attendance. And of course more money goes into the CGWA for major stuff, such as Swell City ownership, the Hook and Waterfront Park launches, Blackberry Beach development, etc. Windsurfing is not yet dead in USA, but it appears to be struggling mightily in the Gorge. Why give up on it? Posted: Fri Jul 06, 2018 8:50 pm Post subject: Re:swap meet rules!!! Looking forward to obtaining a replacement 5.0m sail (mine is becoming opaque and a hazard for anybody downwind of me). Damn, I missed King of the Hook this year (amazing old-school freestyle, complete with hilarious play-by-play commentary).